that exsisted from the 3rd century to 843. It started as a few germanic tribes. 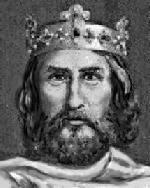 ended a new dynasty began, called the Carolingian Dynasty led by Charlemagne.